Perseverance. Tenacity. Persistence. Determination. These are some of the qualities one could use to describe Dr. Melba Ketchum. Of course I could think of several less flattering examples, but for now I will remain positive. I mean after all, this woman has endured many obstacles. Yet still she keeps her head held high, face into the wind, and proceeds to carry on. On, and on, and on. reports over the years have described bipedal hominins displaying red hair or having a reddish highlight to black, brown or blonde outer coat coloring 47-59. Samples 28, 33, 35 and 37 had sufficient DNA extracted and were chosen for MC1R locus sequencing. The primers used in the sequencing of MC1R were designed by DNA Diagnostics and additional primers by SeqWright to correspond with great apes, humans and Neanderthals. Upon sequencing, it was found that the samples indicated normal human MC1R sequence and carried alleles for red hair color in humans." Conducting scientific methods based on anecdotal stories doesn't seem very scientific to me. Claiming bigfoot are some 80% similar to us genetically is the same amount as a cow. Bananas are 50% similar. See here for percentage explanation. Where was I, oh yeah. None of her findings made any sense. 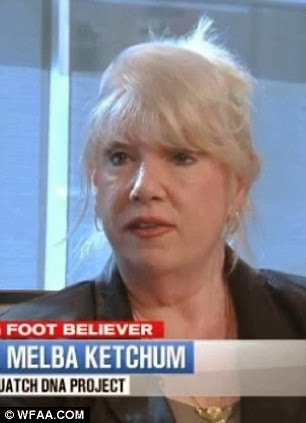 All that seemed apparent was that Dr. Ketchum conducted a bigfoot genome project, and orchestrated the results and conclusions to push her own personal agenda and ideas of what bigfoot is. People who at one time were part of Ketchum's very inner circle abandon ship and refuse to carry on with the obvious nonsense. Ketchum is publicly outed by Derek Randles for refusing to live up to her end with a contractual agreement, and return remaining samples to the rightful parties. I realize I skipped over some things, but I'm sure you get the point. So what does Ketchum do after all of this? Ignores all of it and holds a press conference of course. Quickly followed by numerous national media appearances, all pushing her agenda and sticking to her unsupported, refuted, and biased claims. Previous article on the subject here. But the good doctor was not alone during this press conference. There was an old familiar face joining her at the table. No, not JC Johnson, even though he was there. No I'm talking about the bigfoot viking, the ringmaster himself, Adrian Erickson. You remember, the Erickson Project. That documentary with groundbreaking HD close-up footage of numerous bigfoot creatures. The one that has been in the works for nearly a decade. Yes, the one with the breathing rug laying in the leaves and the Chewbacca mask, that one. See ParaBreakdown's Matilda Video here. 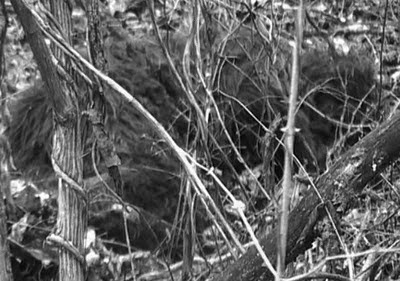 Not only is he the president of the bigfoot shag rug club, he's also a client, and Erickson came equipped with even bigger and better grainy camera phone footage of bigfoot. Footage that remarkably showed nothing convincing. In fact, it looked like people walking around in bad costumes. I don't understand the train of thought that these individuals choose to ride. Like Ketchum, Erickson's previous releases have been less than satisfactory. His "Chewtilda" footage was laughable, nothing more than a customized Chewbacca mask. You would think a man of his financial standing could do better. Or would at least learn from his mistakes and up the game a little. He could have at least taken a page from Ketchum and based his work on anecdotal stories. Even if you can't recognize obvious synthetic fur on a costume, don't you think with Chewbacca being one of the most recognizable characters in the world, that someone may have mentioned at least once that the bigfoot they saw looked exactly like Chewbacca? Where are all the sighting reports where people got a good look at the face that says it looked like Han Solo's sidekick? What about mention of a black, canine-like nose? Or that their faces are completely covered in hair? One would think that in the extensive database of reported sightings, these things might be mentioned. Quick, someone call Rug Doctor! Oh yes, that's right. Bigfoot don't all look the same. Just as no two humans look alike. Well, except in identical twins, etc. But that is also ridiculous. The vast majority of humans technically look the same. Yes there are slight variations in all of us due to genetics, but we all have the same overall appearance. You don't see too many people walking around with a non-human type nose. Or entirely different hair growth patterns. I realize people wish to remain hopeful, but let's not reach beyond our grasp. In my opinion it's all about the mighty dollar. Ketchum is looking for book and television deals, possibly research funding. We all know her last business enterprise went belly up. Check with the better business bureau. Erickson has money, but how much money does he have left? He's been spinning his wheels for the past decade trying to figure out how to convince the world he has video footage of REAL bigfoot. He has stated he won't be releasing the footage anytime soon. He chooses to wait until people stop talking bad about it, and bigfoot is no longer the hot item for television. In other words he doesn't want any negative publicity or competition so he can increase his sales. Unfortunately the bigfoot community will pay the ultimate price. This circus of hoaxers, yes hoaxers, will continue their media drive. They will continue to gain attention. Every day for the past week I have seen article after article showing up about Ketchum and Erickson. It will eventually reach its shelf life and disappear from the media. But not until it is ripped apart and cast over the entire community. 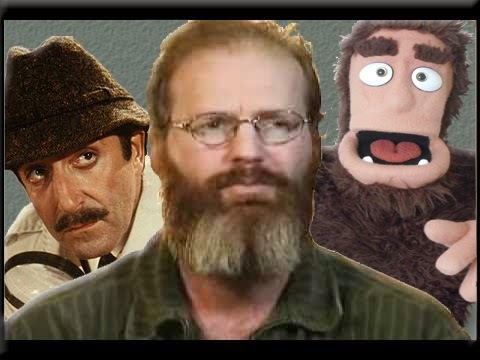 It refortifies the ideology that all bigfooters and "cryptozoologists" are fakes, frauds, and crazies. It's an embarrassment to anyone who has had the luck or the curse of seeing one of these creatures or takes this subject seriously. Matilda's facial profile looks much more like Patty's than Chewbacca's. A little more footage with moving lips and tongue would help. So you're saying Patty is a fake? 2) Chewbacca was designed to look like a Bigfoot. Although Bigfoot vary greatly in their appearance, the Erickson project managed to find and record the Bigfoot that looks EXACTLY like Chewbacca. What are the odds of 2? Certainly a whole lot less than 1. Conclusion: Chewtilda is a fake and anyone who claims something else is just gullible. Do you think that it is possible that the, "what came first, the chicken or the egg?" scenario is involved here? When I saw Star Wars in 1977, I heard that Chewbacca was supposed to be a Bigfoot. One could only conclude that the film producer got ahold of some actual Bigfoot pictures, and then fabricated a costume to match. 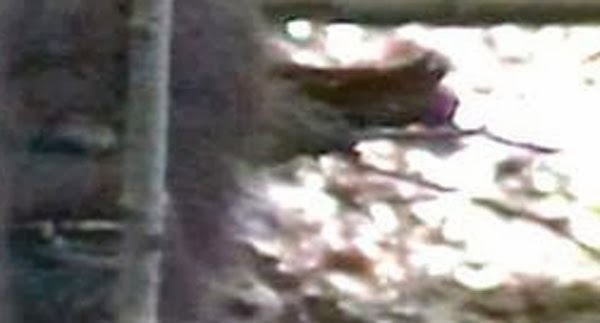 Then some 36 years later, someone else gets a video of a similarly looking Bigfoot. But the blood thirsty debunkers, fail to give credit to the Star Wars costume makers, but instead seek to discredit each and every new video that captured a similarly looking Bigfoot. That's why an I.Q. test is not required in order to write articles commenting on other researcher's work. In conclusion, the Matilda footage cannot be legitimately condemned because it looks like a costume that was modeled after a Bigfoot. That is pure insanity. Bill Munns let his PG report go to his head and screwed up big time. Then he got the snowball rolling to draw in more similarly uninformed experts. Erickson is no hoaxer. As for your comment that the Matilda footage cannot be condemned for looking like a COSTUME that was MODELED after a "bigfoot", well that's just down right silly. Of course it can. Living creatures do not look like costumes. We can't even reproduce them perfectly with cgi, although we do get close at times. But costumes, not even close. Then to go on and say it was modeled after a bigfoot. I will repeat myself, show me sighting reports that claim what they saw looked just like Chewbacca. Show me sighting reports that claim what they saw had a face covered in hair and a black canine nose. Nothing I wrote was based on any work by Bill Munns. I'm not a blood thirsty debunker, I'm a researcher. One who has had multiple bigfoot sightings. That doesn't mean I'm going to sit by and say nothing when people put out CLEARLY fake evidence. Thanks for your comment. With what kind of eyes you view Matilda and see obvious /clear / undoubtfuly it is a costume? You really think all the people involved, some rather educated, some capable of earning and spending a lot of money, I mean a lot, would really, after years of study, go out with the evidence which is, according to you, CLEARLY blatantly fake? You make it sound like Matilda's lip fell off or something. Wekk, not even remotely. It reminds of a wookiee, it does, nothing else. Actually, if its a wookie mask, it's been worked at a lot. Those are the facts, actually. It is NOT A FACT that Matilda is a costume, and you make it sound like it is. Canine nose? Well, maybe the dogman stories are true. That would be a case you ask for, right? And its not as canine as you make it sound like, anyway. And you have seen...how many bigfoot noses in detail? You surely have seen many human noses, and some of them are black, you know? Some are quite different. Well, maybe female teenage bigfoots look like that: hair on the face, small black nose. Maybe there are two related creatures - after all, DNA results show BF is a hybrid of a man and another hominid. We're still in the "maybe" with the video, though I guess we're talking about it only to not talk the DNA study. By the way, this article has some scandalously wrong and misleading thinking and conclusions in the "pardon me" intro. Such a shame. I'm sorry you feel this way. About my opinions that I wrote on my blog. The DNA study has already been talked about. Nothing has changed. Actually, since it was said that Matilda is a female teenager, the bigfoot drawing this author uses as a header for this blog is exactly what would Matilda's father look like. 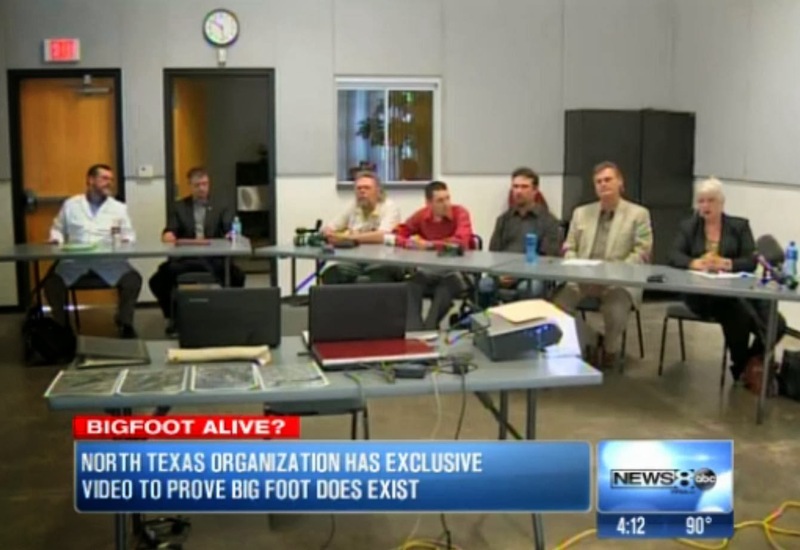 Bigfoot community, as could be expected by any adult brained person, is the toughest obstacle for anyone who tries to really prove the existence of the creature. There are many reports of sasquatches looking "just like Chewbacca from Star Wars". There are plenty on BFRO.net alone. You should do your research. Well since I have done my research, and since you seem to disagree, then by all means show me some links to these reports that state this. 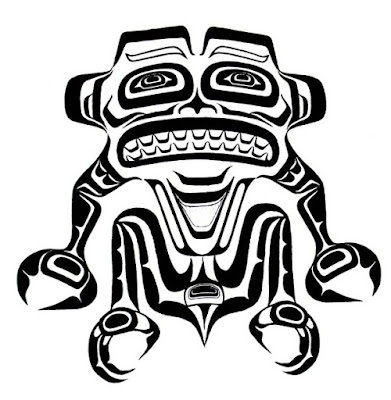 There are some dogman reports claiming to see fangs, but descriptions of bigfoot and bite marks show flat teeth like humans. They don't support the Chewbacca fangs. There might be something in Ericksons film that is a bigfoot,alas its not matilda,where is the fabulous hd footage talked about for years?I say this is Ericksons payback to Melba,a final sinking of the dna paper,all he has to do is sit tight on something good and release with no Melba in sight. Im a believer and I want to believe that ketchum is a real pro. Unfortunately, ive lost faith in her. Matilda looks like a dog plain and simple. Erickson would not have sat on this for 8 years. Im hoping the doctor from oxford can bail us out on the bigfoot hoaxing train. ALL ABOARD!!!!! these people couldn't see knowledge if it hit them in the face. The author has the nerve to lecture her on genetics. If only he could be drawn into awareness of how funny that is. He would probably remain silent for years. "these people couldn't see knowledge if it hit them in the face." . . .ok.